Does your phone warn you when it is not encrypting your calls? Looking at the following picture, do you know what the open lock icon, near the top left corner of the screen of the Nokia phone, mean? 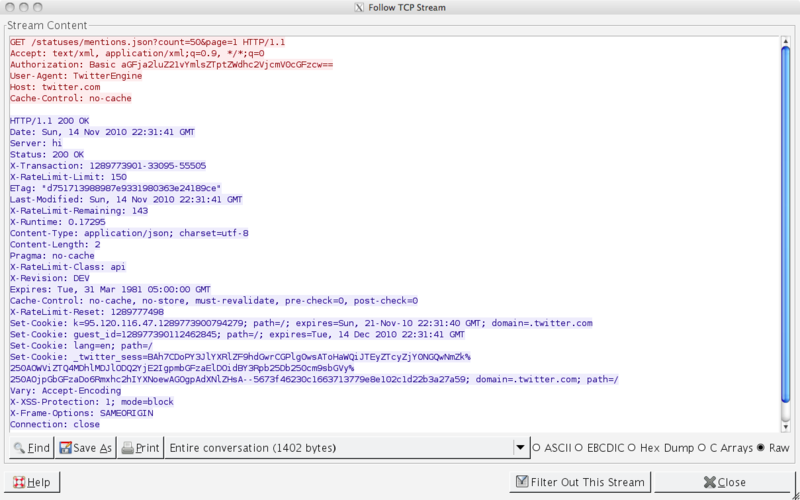 In short, it means that the phone call is not being encrypted. But that being the case, shouldn't the iPhone be displaying a similar icon? 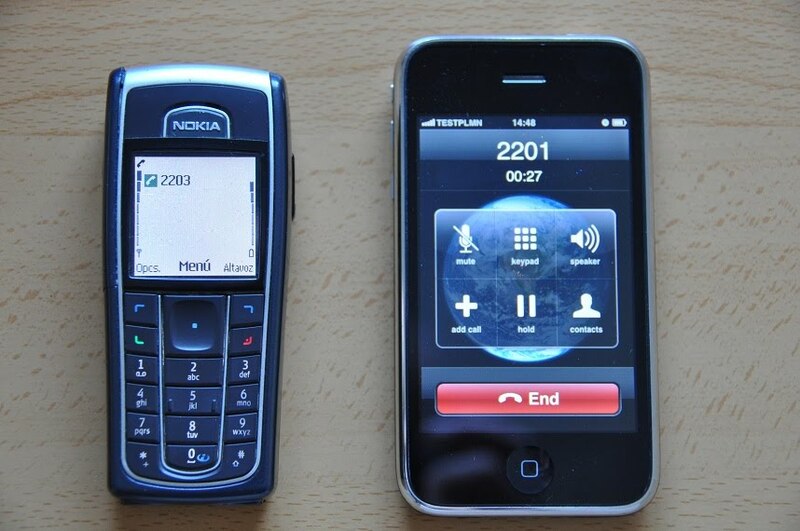 (the call in progress in the picture was established between the two phones). Keep on reading, and you will see that there is more to it than meets the eye. 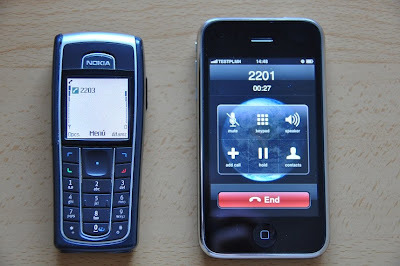 GSM usually encrypts your calls to protect your privacy, and the same goes for your GPRS/EDGE data connections. Now, GSM has many security problems, but for the purpose of this discussion, let us concentrate on the "usually" part in the above sentence. The GSM specification gives full control to the network to select the encryption algorithm to be used to protect the communications on the radio interface, choosing from a set of supported algorithms, which nowadays in most cases include only two choices: A5/1, which is the most commonly used encryption algorithm in GSM networks (already broken, but that's another story), and A5/0, which is an euphemism for no-encryption-at-all. Thus, the network can choose to encrypt, or not, your communications. Most GSM operators do encrypt their subscribers' communications, but some may choose not to do it, and in some countries, like India, they may even be required by law not to use encryption. Making things even more worrisome, an attacker can very easily set up a rogue GSM base station, pretending to belong to your usual network operator, and route all your calls and data connections, unencrypted, through his base station. So, you cannot decide whether the communication will be encrypted or not. But, could you, at least, KNOW if your communication is being encrypted or not? The ciphering indicator feature is specified in 3GPP TS 22.101 [...]"
The ciphering indicator feature allows the ME to detect that ciphering is not switched on and to indicate this to the user. The ciphering indicator feature may be disabled by the home network operator setting data in the SIM/USIM. If this feature is not disabled by the SIM, then whenever a connection is in place, which is, or becomes unenciphered, an indication shall be given to the user. 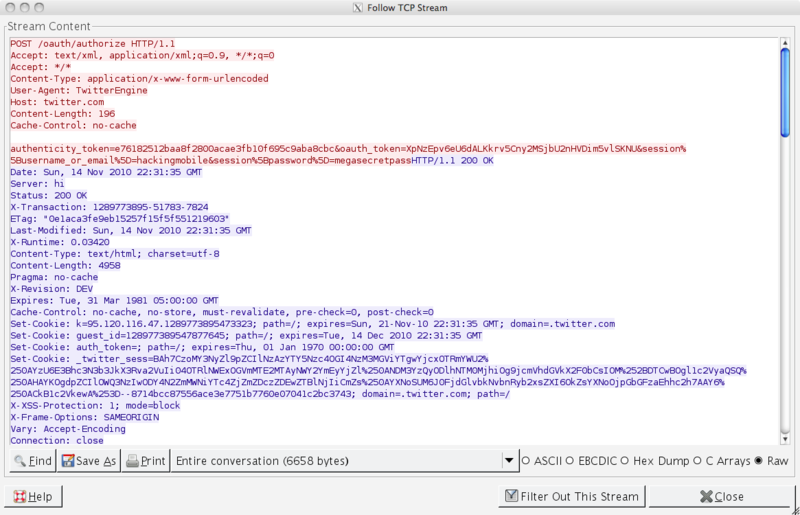 Ciphering itself is unaffected by this feature, and the user can choose how to proceed;"
Interesting! So, according to the specification, our mobile devices should tell us that the communication is not encrypted and we should be allowed to choose how to proceed, unless our SIM card were configured to disable this feature. However, is that how it is in real life? 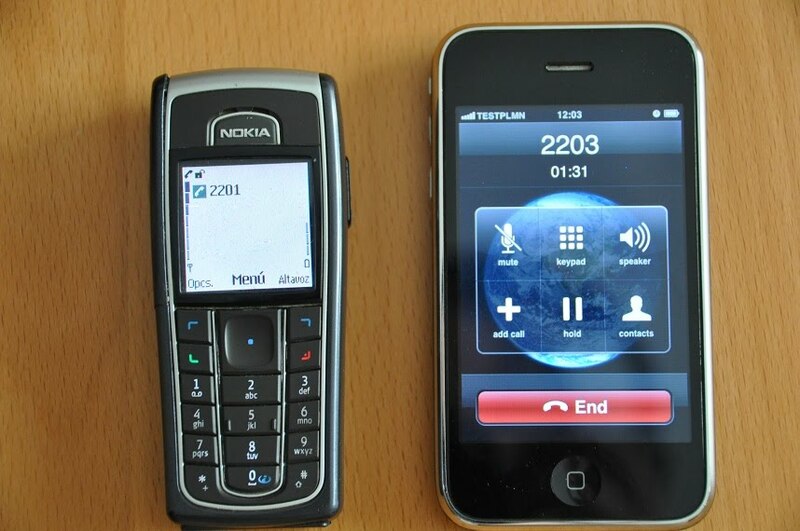 In a little experiment we did in our lab, we took 2 SIM cards from 2 different network operators, let us call them Operator1 and Operator2, and we inserted them in the phones you saw in the previous picture, an old (2004) Nokia 6230, and a more recent (2008) iPhone 3G. Then, we established a call between them, using our own base station with A5/0, that is, no encryption, and the result was the one depicted in the previous picture: the old Nokia phone displayed the open lock icon, indicating that the call was not being encrypted, while the iPhone did not show any indication of this fact. Think about it for a second, and then try again to answer the question in the title of this article: does your phone warn you when it is not encrypting your calls? If you want to find out, bring your mobile phone and SIM card to our GSM/UMTS (2G/3G) SECURITY training course, and you will be able to test it yourself! Sessions available in English and in Spanish!